Nowhere has two lines from Shakespeare been better quoted than this one from Hamlet in the short The Mark Of The Beast. Author and poet Rudyard Kipling never even had to finish it to convey its full effect. "There are more things ..." was all he had to write before his protagonist's friend cut him off, claiming it to be cliche. And yet, its impact is felt long after the short story winds toward its uncomfortable conclusion. The Mark Of The Beast by Rudyard Kipling. If there is one thing that can be said for the social and digital age, it is that it gives people with a passion for literature the opportunity to discover and rediscover works that would otherwise carry too many layers of dust to be bothered, with exception to a handful of instructors in writing classes and literature. 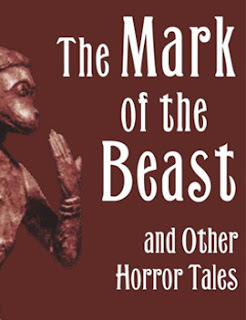 The Mark Of The Beast is one of them, which is part of the quieter Kipling's work beyond The Jungle Book. The story is a two-fold tale. 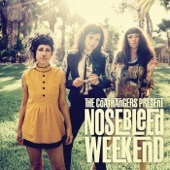 On its surface, it has all the trappings of a well-crafted transformative horror story. Seething underneath is his apocalyptic vision of the demise and transformation of an empire. It begins simply enough, with a carousing, ignorant, and drunken Englishman in India and his de facto friends: the unnamed narrator and protagonist; Strickland, the policeman; and Dumoise, the doctor. One night after an affluent New Year's Eve celebration, Fleete drinks too much and two of the three men decide to walk him home. On their way, unfortunately, they pass too close to a Hanuman temple. Fleete is immediately attracted by the chanting, dashes up the steps, and disgraces the consecrated effigy of Hanuman by crushing his cigar on its forehead and then sitting down beside it, intent to make it his pillow. Amidst the confusion, a leprous and naked man rushes out of the temple and marks him. While it causes a fright for the narrator and Strickland, it seems to calm the gathering priests. "Take your friend away. He has done with Hanuman, but Hanuman has not done with him." Beginning immediately the next day, Fleete notices a perfect double of black rosettes forming over his left breast. They were only pink in the morning, but grow black by the afternoon. The transformation had begun. Fleete was inexplicably and perhaps fatally cursed. As the transformation becomes more apparent, it's mostly up to the narrator and Strickland to save Fleete. And to do it, once the promise of modern medicine is ruled out, they capture and torture the leprous man responsible (although any description of torture is omitted). From a more global perspective, Kipling accurately depicts how he and others see the English presence in India. Around the turn of the century, they occupied the country with great indifference to the people. When the people began to resist, their actions transformed the empire. Worse than that, perhaps, Kipling's final diagnostic is frightful. For even if a cure can be sought out or forced, the trauma of it all can not be undone. It forever changes everyone involved, whether they are aware of it or not. Especially so, because those who survive know that the very arrogance of civilization can sometimes make the afflicted less than the civilization they look down upon. A few brief graphs about the author Rudyard Kipling. 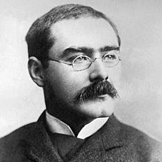 Joseph Rudyard Kipling (a.k.a.) Rudyard Kipling was born in Bombay, India, to two English parents who moved to India in 1865. Although they had courted each other at Rudyard Lake in Staffordshire, England (which is where Kipling's name came from), they quickly considered themselves Anglo-Indians, a term used in the 19th century for most British living in India. At a young age, he was sent to live and be educated in England with his three-year-old sister. Later, he would recount the experience as horrific. He would be enrolled in a school founded to prepare children for the British Army and, after it was decided he lacked the ability for an Oxford scholarship, became the assistant editor of a small newspaper in what would become Pakistan. For most of his life, as Kipling developed his career as a writer destined to become a Nobel Prize winner, he was as much a citizen of the world as he was a citizen of England. In India, his reputation remains controversial, especially because much of his work celebrated English adventurism, even if his prognosis for imperialism remained gloomy. The Mark Of The Beast By Rudyard Kipling Haunts At 8.9 On The Liquid Hip Richter Scale. The tightly written story is barely more than 5,000 words and yet covers ground that many complete novels attempt to travel. It works well enough as a standalone tale, but reveals true genius in analogy. Last year, an independent film attempted to adapt the story into modern horror. Most of the indie reviews have been suspiciously praising, but it's difficult to discern merit based on the trailer. The new backwoods setting also diminishes it as an analogy. The real interest comes from the new reading of the tale by B.J. Harrison, despite some mixed reviews because it does not come fully stocked with shorts like the out-of-stock The Mark of the Beast by Dover Horror Classics (which included classics like The Phantom Rickshaw and the less loved The Lost Legion). 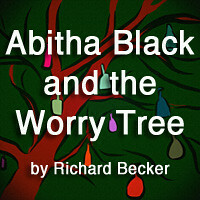 Instead, the audio version only includes the one story (95 cents), with a read time of only 34 minutes. 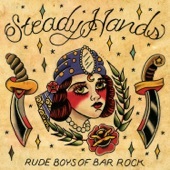 The story can be found on iTunes. If you are less inclined to try the audio, I did find the story published on its own, online. 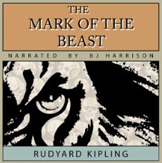 Conversely, iBooks has several Kipling stories that are available to download for free, including The Mark Of The Beast and The Phantom Rickshaw.